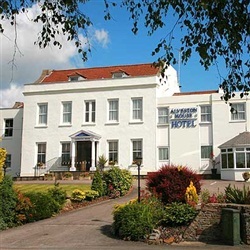 The Award Winning Alveston House Hotel near Bristol UK has joined global hotel group Magnuson Hotels to boost online presence and attract potential customers. Magnuson Hotels, the world’s largest independent hotel group, and one of the top 8 global hotel chains represents nearly 2,000 UK and North American hotel properties, including nearly 100 UK hotels. Affiliation with Magnuson offers Alveston House low cost access 24/7 personal marketing services and corporate, group, government and international bookings via Magnuson’s GDS (global distribution channels). Awarded “Best Small Hotel of the Year 2010” by Bristol Hospitality Forum and recipient of the AA Rosette Award for their restaurant “Carriages”, Alveston House Hotel offers a warm welcome with superb service and facilities. This Magnuson Hotels affiliate is just minutes to Bristol, the Thornbury Gold Center, Bristol Zoo, the SS Great Britain and Berkeley Castle. Guests will enjoy a full English breakfast in addition to continental breakfast each morning, superb menu at Carriages restaurant, refreshments in the bar, beautiful walled gardens and conference facilities.